The fight against Zika and dengue fever has been bolstered by the development of a second strain of a bacteria that blocks mosquitoes from transmitting the viruses, giving scientists a double shot at guarding against a viral mutation. After years of work, researchers have successfully developed a second strain of the Wolbachia bacteria that has already been found to block the Aedes egypti mosquito from passing on Zika and other viruses like dengue fever. By infecting mosquitoes with both strains of the bacteria, it makes it twice as difficult for a virus to mutate to get around the blocking Wolbachia. 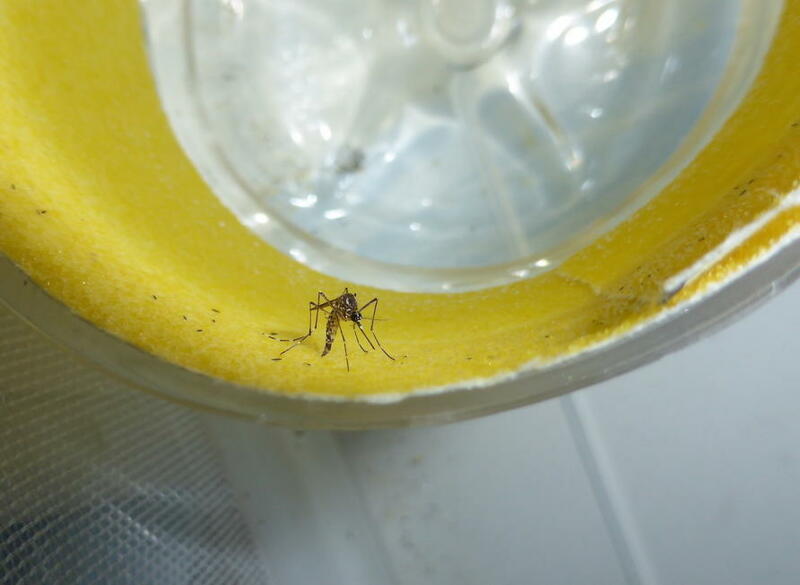 The research, published in the US-based journal the Public Library of Science, also shows that the blocking effect itself is strengthened in “superinfected” mosquitoes that carry both strains. The ground-breaking project to introduce Wolbachia into mosquito populations is already set to open a new front in the battle to control mosquito-borne diseases. But by developing a second strain the researchers have made a pre-emptive strike against viruses developing a resistance to Wolbachia, even as the project to inoculate mosquito populations with the bacteria aims to crank up. The Eliminate Dengue international consortium of scientists has been working since 2011 to use Wolbachia as a way to combat the spread of dengue fever, but it is also expected to be effective in blocking the Zika virus now raging in Brazil and other parts of South and Central America. Successful field sites have been established in Australia, Indonesia and Vietnam, and there is ongoing work at field sites in Brazil and Colombia. This new strain is welcome because it provides us with an ‘insurance policy’ to counter the emergence of dengue virus resistance to Wolbachia. The Zika outbreak in Brazil has sparked a global emergency after it was linked to a spike in reported cases of an uncommon brain birth defect called microcephaly. Ordinarily any symptoms from the Zika virus are mild and temporary such as a fever. The link has yet to be proven. Microcephaly is usually the result of an unborn baby’s brain failing to develop properly, resulting in an unusually small head and potential intellectual disabilities. Scientists are now rushing to develop a vaccine but US health officials have warned that it will likely be a few years before one becomes widely available. The second strain, dubbed wAlbB, has proven to be just as effective as the first strain in spreading through mosquito populations without making them unhealthy and therefore less likely to reproduce infected offspring. 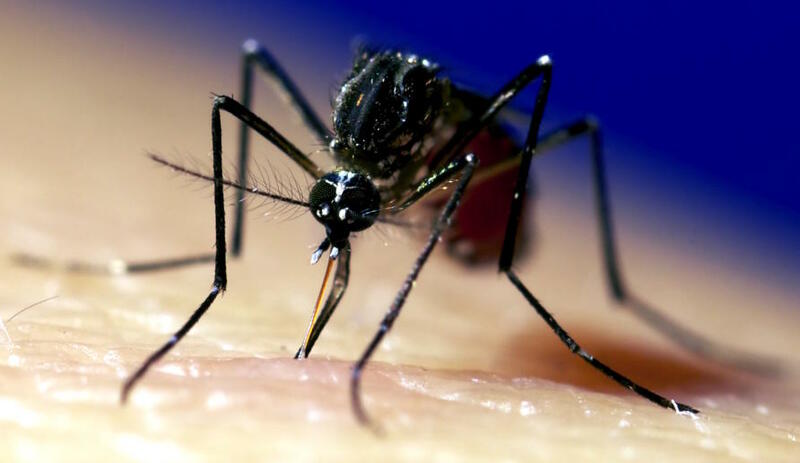 Importantly, the researchers found that “superinfected” mosquitoes had fewer dengue fever viruses in their salivary glands after feeding on dengue-infected blood. Wolbachia doesn’t completely block mosquitoes from being infected by the virus, but it can stop them from spreading it. Modelling by the project suggests Wolbachia would eliminate transmission in the vast majority of locations where dengue and similar viruses exist. “Dengue is the focus but we expect Wolbachia to have an impact on other mosquito-spread viruses like Zika,” says Professor Simmons. There is every expectation that because of the way the bacteria works that Wolbachia will protect against Zika. Once introduced to a community of mosquitoes the Wolbachia bacteria can spread rapidly since it is passed through the maternal line such that all the eggs of an infected female mosquito will also carry the bacteria. “We predict that any community where there is a high frequency of mosquitoes carrying Wolbachia will be protected from these viral diseases,” Professor Simmons says. “We are planning for phase III efficacy studies in Indonesia and Vietnam where the aim will be to demonstrate a reduction in dengue cases in communities where we have Wolbachia established compared to our controls in neighbouring communities where the bacteria isn’t established,” Professor Simmons says. Wolbachia is present in the cells of up to 60 per cent of insect species and is passed through their eggs. However it doesn’t ordinarily exist in the Aedes aegypti mosquito that is the primary carrier, or vector, of viruses such as dengue and Zika. It took three years of lab work to cultivate and adapt the bacteria from flies so that it can live in the cells of Aedes aegypti mosquitoes. But it isn’t just a matter of releasing infected mosquitoes into the wild. The University of Melbourne’s Dr Nancy Endersby-Harshman, from the School of Biosciences, is involved in quality controlling the infected mosquitoes to ensure they are healthy enough to breed successfully. This extends to ensuring released mosquitoes have the same resistance to any local insecticides as the wild host population. “The mosquitoes have to be biologically fit in order to survive, reproduce and replace the wild population,” Dr Endersby-Harshman says, who is part of the Hoffmann Laboratory at the University’s Bio21 Molecular Science and Biotechnology Institute. 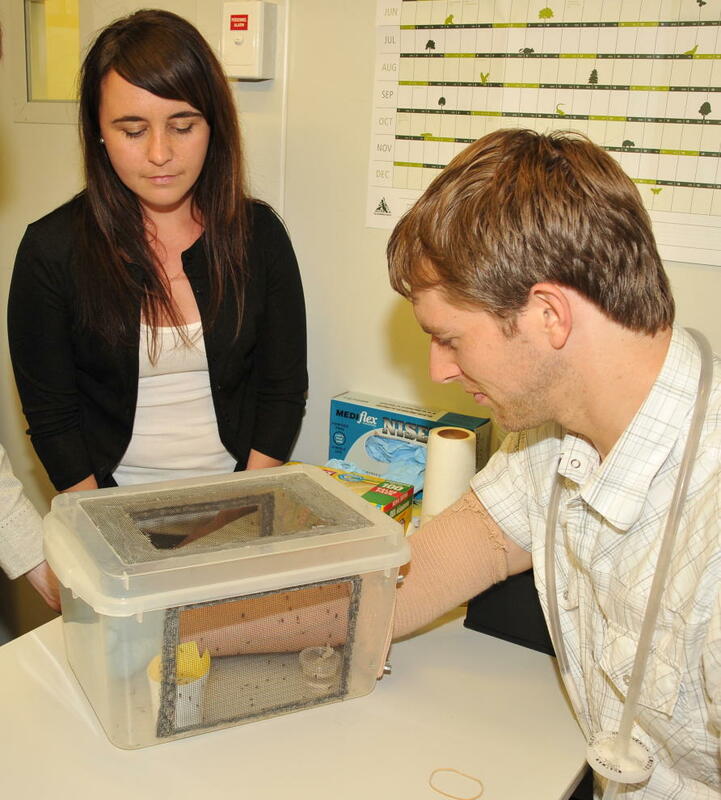 The work at the Hoffmann laboratory has relied on staff and student volunteers allowing themselves to be bitten by Aedes egypti mosquitoes infected with Wolbachia in order to encourage the females to lay their infected eggs. The mosquitoes won’t lay their eggs unless they have fed. Dr Endersby-Harshman says it would be possible to scale up the release of the bacteria in response to the spread of Zika in Brazil and elsewhere in Latin America, but to cover such a large and heavily populated region would require a major effort. 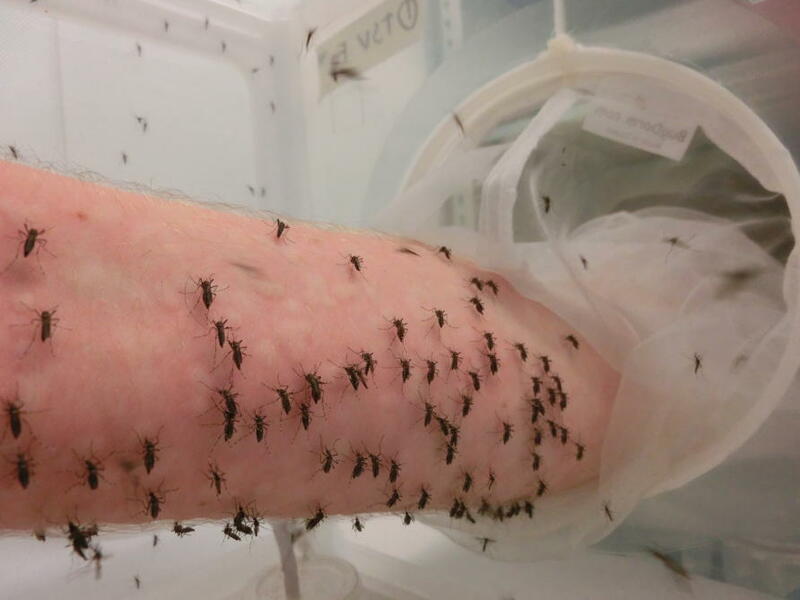 To establish a stable Wolbachia infected mosquito population in just a suburb of Cairns, Australia the team had to release 10,000 infected insects a week over ten weeks. That suggests the task in Brazil could amount to hundreds of millions of mosquitoes. Dr Endersby-Harshman said one way of increasing the scale would be to focus on distributing infected eggs rather than releasing infected insects. Such a strategy has already been shown to work in Australia. So is Wolbachia a silver bullet for stopping the spread of Zika and similar viruses? Professor Simmons says the project is confident that Wolbachia will be effective in curtailing the spread of Zika and similar mosquito-borne viruses. But he cautions that the reality is that authorities need a combination of bullets to achieve disease control on a continental scale. Eliminating Dengue has been established with funding from donors such as the Foundation for National Institutes of Health, Wellcome Trust, the Tahija Foundation and Gillespie Family Foundation. Funding has also come from the Australian and Brazilian governments. The project is led by Scott O’Neill at Monash University in Melbourne.